In the time-honoured tradition of politicians the world over, Filipino Senator Manny Pacquiao has done a backflip on comments published on his Instagram account earlier this week. The 39-year-old welterweight, who sports a record of 60-7-2 (39), used the social media platform to lash out at former promoter Bob Arum of Top Rank with threats of legal action over what he alleged were unpaid broadcast fees for the US distribution of his last fight. Pacquiao has since had a change of mind. “My post from the other day was a result of miscommunication between my Team and Top Rank. Everything has been clarified. I would like to thank Bob and Top Rank for helping guide my career and for the many great years of working together. We have accomplished so many amazing things together,” said Pacquiao. The former eight division world champion was last in action against faded Argentinean banger Lucas Matthysse at Axiata Arena in Kuala Lumpur, Malaysia on July 15, a fight he won by TKO7. The fight was promoted by Pacquiao’s MP Promotions in association with Golden Boy Promotions. Top Rank handled the television distribution into the US, Canadian and Puerto Rican markets. 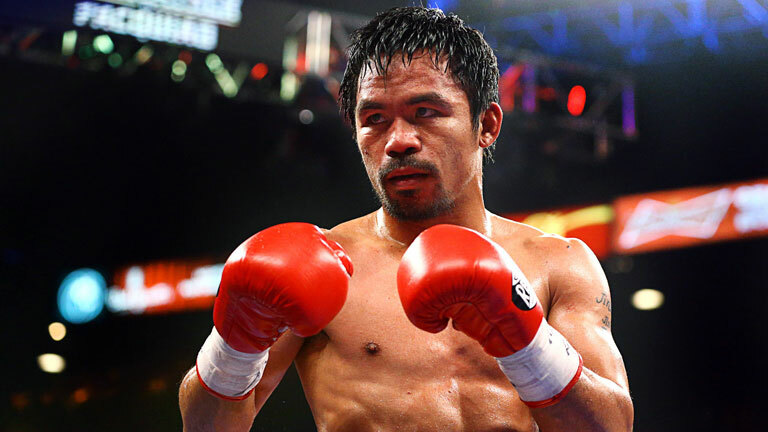 Under the deal Pacquiao was expected to earn 85% of the revenue, believed to be worth $1.7 million. Pacquiao had posted a backhanded compliment to Arum and Top Rank on his Instagram account earlier this week. “Congratulations and good luck to @TRbocing and @ESPN on your 7-year partnership agreement. I know both of you have been very busy finalizing the deal. Pacquiao remains a promotional free agent with leading British promoter Eddie Hearn in partnership with streaming service DAZN bidding for his signature as they seek to crack the lucrative US market, while Top Rank and ESPN+ have also shown interest in signing the still wildly popular Filipino icon.